One of the premiere music venues in a country that otherwise does little to support the arts is the French Cultural Center(CCF). Aristocrats and expats mingle (is there any difference?) in a distinctively non-Mauritanian ambiance. Noura Mint Seymaly plays a set of “modern” Hassaniya music. 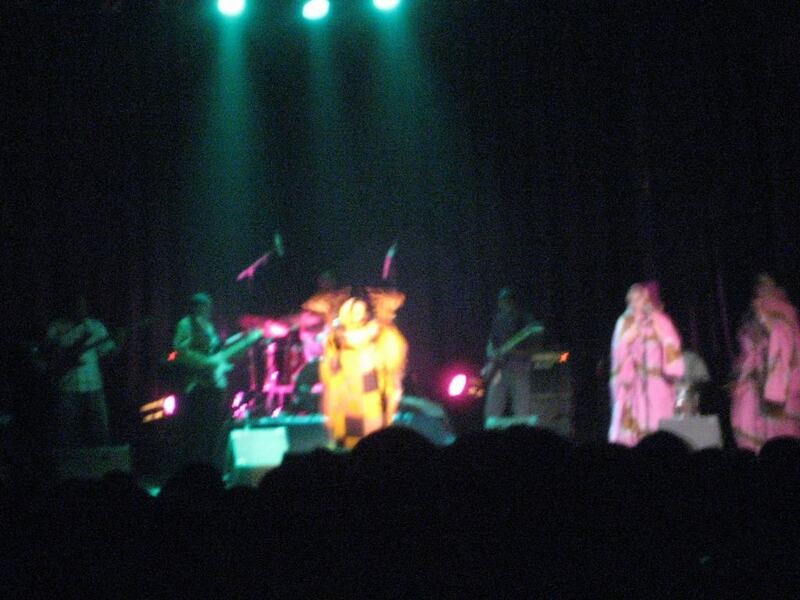 Crosby is a Malian guitarist in Nouakchott, one of the fixtures of well known musicians, a group of the first modern band, notable for his dark sunglasses of which he always is wearing a pair. Along with a few other aging musicians, most every young guitarist learned from him. I ask him here to show me some of the Hassaniya scales.